It’s high summer in Minneapolis. Usually that means that I begin my days out in the garden, sleepily gazing at whatever is blooming while I take my first blissful sips of coffee. I was doing that just this morning when it began: the roaring, rumbling, crashing, beeping cacophony of the construction next door. I live two doors down from Minnehaha Academy’s north campus. Last summer there was a huge gas explosion there that tragically cost two people their lives and gravely injured another. I was home when the blast happened and still remember the house shaking under my feet. It was the loudest thing I have ever heard. Now they are in the process of rebuilding. I work at home, so the constant racket has a daily impact on my work. I close my windows and turn on my air conditioning to block the noise in order to hear my voice coaching clients. When I’m trying to concentrate on something – like writing this blog or composing an email or designing a voice course – my brain gets scrambled by the relentless noise. It also impacts my private time. One of my favorite places to be is in my hammock chair on the back deck. It’s the perfect spot for eating lunch, watching birds, reading books and chatting with friends. This year I’ve spent little time there. Their workday is often eleven hours long – from 7 am to 6 pm. That leaves a tiny window to be outside before the mosquitoes come out in force. Summer is generally a noisy time here in the city. The road along the river and the bridge across it seem to awaken something wild in motorcycle riders. I hear revving in three pitches – deep Harley roars, crotch-rocket tenors and little motor bike whines. Several times a day UPS trucks careen around my corner with an urgent rumble. There are barking dogs, beeping car alarms and wailing sirens in the soundtrack of city summers. This season has taken the noise up a notch. My ears are unusually sensitive. It comes with the work I do as a singer, voice coach and song leader. I rarely have music playing in my house. No matter how wonderful the tune, it can’t complete with the resonant peace of silence. When I go out dancing, my earplugs come with me. On the rare occasions that I encounter a television (I haven’t had one for 30 years), I’m taken aback by how fast, aggressive and LOUD it is. This onslaught of noise has got me wondering. Who is the sadistic person who designed back-up beepers? Today there are three of them, all one-half step apart in pitch. When they are all going at once, the dissonance makes my molars ache. What is the emotional impact of such constant and intense noise? How does it affect the workers at that construction site who hear it all day long in much closer proximity? And perhaps the biggest question of all, how can I find peace inside when all is noisy outside? Wish me luck…..
July 4th would have been Karly Wahlin’s 33rdbirthday. She died at 27, weary from struggling with her challenging body and ready to leap into the new place she had glimpsed for years. Her mother, Lois Swope, and I continue the deep friendship we forged through our love of Karly. The two of us are creating a keynote presentation that features Lois’s lessons from parenting a child with serious disabilities along with my music and reflections. Karly’s voice is also included through her writings and piano compositions. Several years after Karly’s death, Lois offered me a touching gift – a handmade pillow that included fabric from Karly’s favorite soft white blanket. 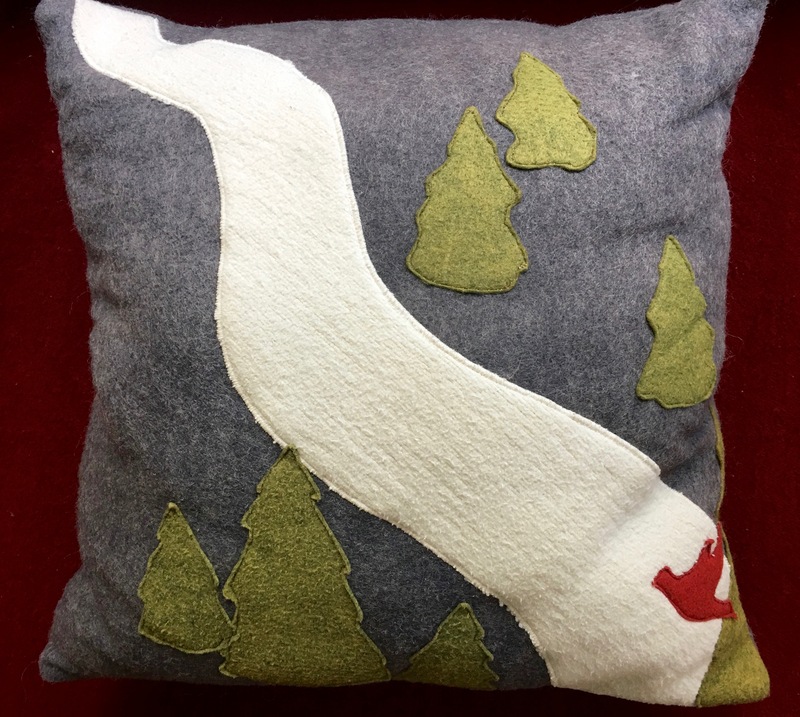 Lois and her husband, Gregg, collaborated on the design, making certain it included the river both Karly and I loved, plus pine trees and a red cardinal in honor of my father. The pillow resides in the center of my couch and is symbolic for so many precious things: Karly’s wise and generous friendship, Lois’s clever hands, Gregg’s design insights and above all, being deeply known and loved. Exactly 24 hours later, Sister Kathleen presented me with an exquisite handmade paper box. 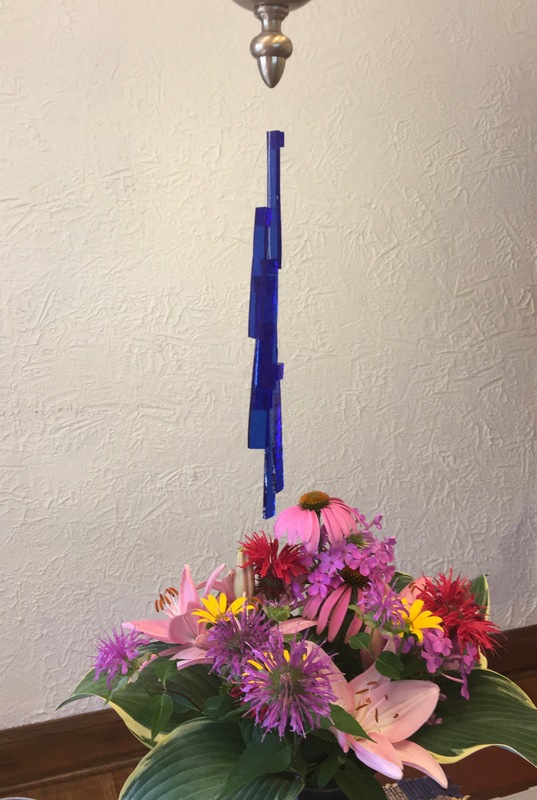 Inside was a chime made of seven royal blue glass pieces joined together with fishing line. As I lifted it from the box, its delicate music filled the room. Sister then handed me a small piece of paper with a list of seven gifts she saw in me. Each piece of glass represented one of those gifts. I read her words through happy tears. Is there any better gift than being seen, known and celebrated? That chime hangs over my dining room table as I write this. I ring it whenever I need to remember who I am. There is a new blanket on my bed. It’s way too hot to sleep under it in this high summer weather, but I keep it on there during the day, just so I can feast my eyes on it. 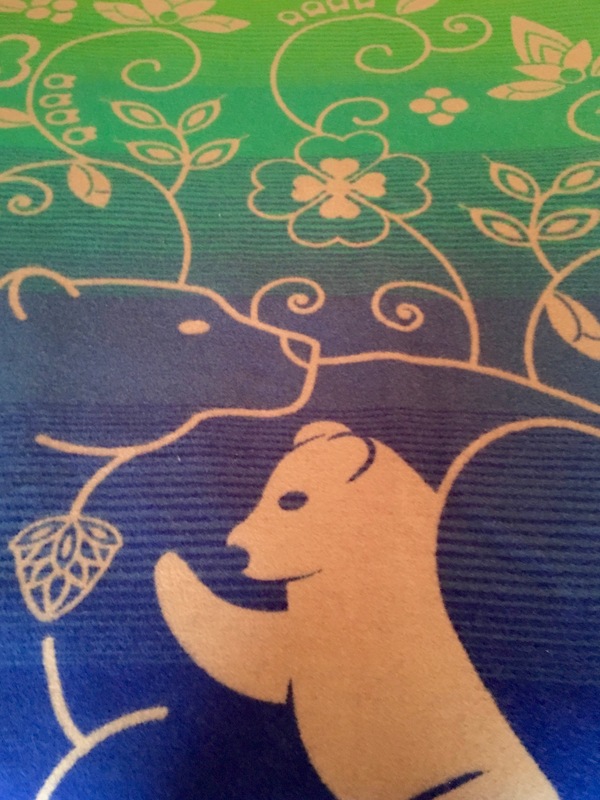 Julia bought the blanket on the Fond du Lac reservation in northern Minnesota. She has known my blanket’s designer, Sarah Agaton Howes, for decades. Julia’s gift moved me deeply. It was outlandishly generous for one thing. It’s a glorious piece full of traditional Ojibway designs and was created in collaboration with Eighth Generation, the first Native company to produce wool blankets. Each time I look at it, it sings to me of honor, respect, beauty and long friendship. Three mirrors of the love that infuses my life. Tell me, what gifts have meant the most to you and why? Your grief for what you’ve lost holds up a mirror to where you are so bravely working. One hundred people stream into a large, elegant room at a Methodist Church in Minneapolis. The chairs are arranged in several large concentric circles. At the center is a huge elk antler surrounded by an elegant arrangement of colorful cloths, candles, stones and flowers. We have gathered on this Father’s Day to sing through grief together. The work is being led by Laurence Cole, a wise elder and prolific creator of community songs. Many of the people in the room know and love his songs from singing them at my local song circles. Others have encountered him at singing gatherings in the region. He is a powerful presence – a vital septuagenarian with a booming voice and deep well of wisdom. Our purpose for this five hours together is simple – to metabolize some of the grief we are carrying, individually and collectively, through song and story. 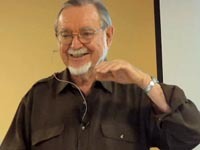 Laurence developed this approach based on his experiences in collective grief with West African wisdom teachers, Malidoma and Sobonfu Some’, as well as Francis Weller, author of The Wild Edge of Sorrow. He integrates what he has learned from these teachers with his own gifts of reflective listening, storytelling and community singing. The details of another person’s grief story may be vastly different from our own but hearing the truth of it can help us recognize our shared humanity. Listening to these stories reminds us that everyone is carrying burdens. Singing together gets us connected to each other on a visceral level – through breath and vibration. It also awakens our emotions and softens our defenses. There is also great power in giving voice to our tears. Many of us weep silently if we weep at all. We train ourselves to do so as young children. Hearing others cry out or wail can be uncomfortable at first, but it can call forth our own grief songs. A fundamental wound for many of us is the belief that nobody else understands the grief we carry. The dominant culture in the United States creates deep isolation for those who are grieving. They are pressured to “be strong” and “get over it” quickly. To speak your grief story into a community and have it reflected back to you in words and song breaks that isolation for both speaker and listener alike. Stepping into the territory of grief can be frightening. There is mystery in there….and for most of us, a backlog of unshed tears. Seeing beautiful things gathered from the natural world – flowers, stones, feathers, a pottery bowl of water – can help us remember the larger community of life in which we abide. I was thirteen years old…all bony knees, bad glasses and scathing self-consciousness. 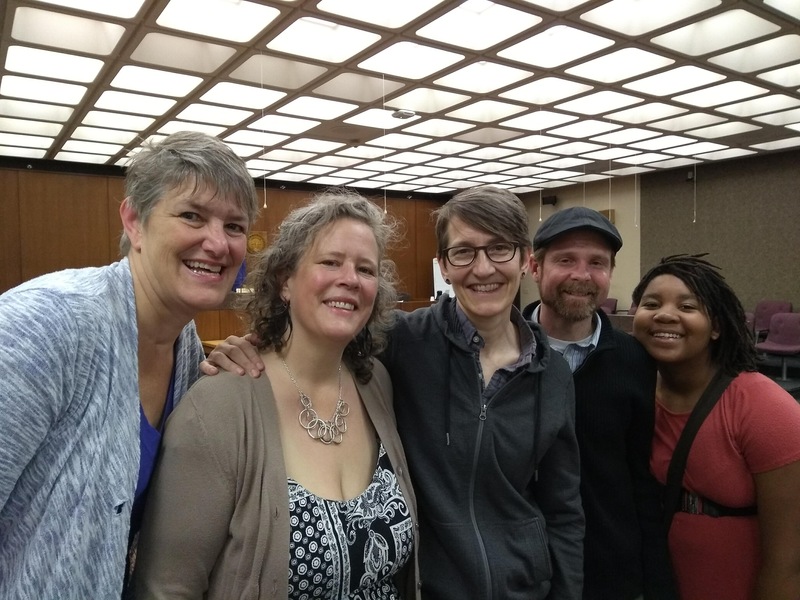 One ordinary Sunday morning at the First Presbyterian Church in my Minnesota hometown, I witnessed something earth-shaking, life-changing: a woman stepped into the pulpit. A woman! Just as if she belonged there. Confident, calm and clear-eyed, she stood up and spoke to the congregation with authority. Laura was our new intern pastor and I was utterly smitten. During her short time at our church, Laura led a number of events with the youth, including a canoe camping weekend on the St. Croix River near my town. I remember that trip vividly, especially my aching need to be noticed by Laura tugging against the wish to completely disappear. I also remember her gracious patience with my teenage goofiness. I decided around that time that I wanted to be – like her – a Presbyterian minister. That ambition didn’t last very long. My life took me in other directions and I never attended seminary. create a ritual and lead singing for another friend’s upcoming 70thbirthday. Ditto for a friend turning 65 this summer. co-create and lead a ritual for friends celebrating 50 years of marriage. co-lead several “singing through grief” rituals in Minnesota and Iowa. lead singing to open a conference for people bringing the human aspect of healing into healthcare. sing for the residents of an elder care/memory care center with other members of the Morning Star Singers comfort choir. offer a session on community singing at a retreat for health care professionals. Over the past decade, I’ve been involved in leading and/or planning many memorial services for people ranging in age from birth to 93. Many of these were unique undertakings and included things like puppet shows, storytelling, harp music, poetry reading and wild dancing. I have helped create many wedding ceremonies as well. Two of my wedding songs have been sung at numerous nuptials, sometimes led by me and sometimes by others. I’ve helped make ceremonies for healing, entering hospice, blessing a child, preparing for dying and sanctifying a new home. It is a profound honor to be entrusted with these sacred moments in the life of my community. Wherever you are, Pastor Laura, I bless and thank you for showing my thirteen-year-old self that a woman can be an inspiring spiritual leader. I’m in my car driving home from an evening of Scrabble with my 94-year-old mom. I’m listening to a podcast to keep me company on the familiar thirty-minute drive: “Making Obama” from WBEZ, the public radio station in Chicago. In the first segment of the series, various people are recounting tales from former president Barack Obama’s early years as a community organizer on the south side of Chicago. Often a person speaks for a few minutes before the narrator identifies them by name. One of those unidentified voices has a strange and immediate effect on me. After his first two or three words, I have a vivid physical sensation in the center of my chest. My heart area is immediately flooded with warmth. Then it feels as though something is opening or unfurling in there. My heart feels like it’s …. well……blooming. I’m completely surprised and bewildered by this experience. Why am I feeling so strange? What is happening in my chest? And why on earth do I feel so darn happy at the sound of this voice? The speaker continues to tell his tale and then, by way of a little laugh, I recognize the speaker at last. It is my friend and colleague, John McKnight. I can’t estimate the number of hours I listened to John’s voice over those years. Apparently, I took his way of speaking deep into my bones. How else could I explain the powerful physical response I had to hearing it through my car stereo speakers? I am still intrigued by the fact that my body and emotions recognized John’s voice well before my brain registered his identity. Without knowing who was speaking, my body instantly recognized that I loved him dearly. As a voice coach, I often hear myself saying how vital our vocal tone is in delivering our message. We could craft every word of our message to perfection, but if the tone we use to deliver it isn’t congruent, our listeners will come away confused or distrustful. This recent experience with John’s voice has illuminated new questions for me about how our voices impact the bodies, minds and emotions of others. How are my sounds – or yours – lodging in the body memories of the people around us? What emotional traces are we planting in there that may return in some future time? 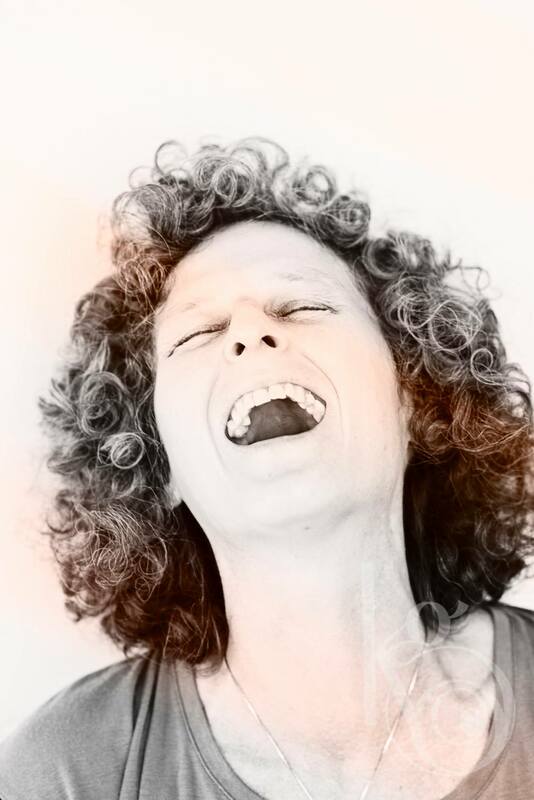 How can we become more conscious and choiceful about howwe say what we say to our family members, friends, colleagues and community members so that their memories of our voices are as vivid and joyful? The first line on the back of my book, Full Voice, reads, “Your voice matters.” Thank you, John, for giving me a new and (literally) heart-warming illustration of this idea. The happy witnesses at court — Kip is in the middle. A handful of us are standing around our cars, preparing to leave after singing for a woman in hospice. We are all members of the Morning Star Singers, a volunteer comfort choir I founded in 2007 to bring singing and compassionate presence to people facing various challenges. “I know we’ve been in choir together for months, but I can’t seem to recall your name,” one of them says to another. From that day on, Lisa became Kip to the Morning Star Singers. In the ensuing years, they began inviting friends to call them by that name and just last year, they told their family that they were going to make it official. Lisa was going to become Kip. That is why I got up this sunny, lilac-scented morning and rode my bike downtown to a courtroom in the Hennepin County Government Center. Kip, their partner and two other friends joined several other groups who were there for name change court. One young woman of Hmong descent was there to change her first name to one that makes more phonetic sense in English. The name she chose is the one my mother uses – “Wynn.” After her hearing, I ran over to congratulate her and tell her that she shares a name with my 94-year-old mom. She was elated to hear it. Then it was Kip’s turn. The judge called us forward to sit at the official table. We were surprisingly nervous. After raising right hands, asking a series of questions and affirming this and that, the judge made it official – Kip was Kip – legally and forever. The other people waiting their turn quietly applauded. We were all strangely moved by the experience. To claim a name that fits is a powerful thing. We were keenly aware that behind every person in that courtroom was a long and sacred journey to identity. In my 58 years, I’ve named numerous pets – and have conjured nicknames for many beloved friends. Kip is the first person I’ve ever named. I still don’t quite know how it happened. I know it had something to do with being at the threshold of life and death. Or the fact that my heart always leaps up with joy and recognition whenever I encounter Kip. After we leave the courthouse, Kip, their partner and I head off to a celebratory brunch. Over lemon-ricotta pancakes and Eggs Benedict, we make plans for a ceremony to mark this sacred change. We decide that the proper place to begin the ritual is on that curb where I first “heard” Kip’s name. From there we’ll process to a nearby lake to honor and celebrate this sacred and joyful naming. The idea that laughing and crying offers similar relief to a troubled heart always made perfect sense to me. I get the same deep, cleared out feeling from a good crying jag as I do from a breathless fit of hilarity. My beloved friend, Lia Breen Falls, recently introduced me to a new aspect of this idea. Some of what Lia does in the world is being a devoted companion to people near the end of life. She absolutely loves this work – and brings creativity, deep love, harp music and compassionate presence to the people who are blessed to be in her care. One of her beloved clients died last year after a long, slow waning after a stroke. Lia loved this woman and her family, so her passing was a great loss to her. At the same time, Lia knew that her deeply spiritual client-friend was completely at peace with dying. This woman had been struggling for a long time and had told Lia that she was looking forward to being free from her weary body. In the week following her client’s death, Lia began crying in her car about the loss of her friend. The weeping then gave way to joyful laughter as she imagined how happy her friend was in her new spiritual realm. Then the tears returned again for a few moments before cycling back into laughter. That day in the car, Lia coined the term “craughing” — a combination of the words crying and laughing — that perfectly describes this cycling between laughter and weeping, giggling and sobbing. A few months later, Lia and I were at Village Fire, an intergenerational oral tradition singing camp in northeast Iowa. We’d had a difficult moment leading some singing before dinner one evening and went off to chat about why it had felt so hard to get the group in sync. I love many things about “craughing,” but perhaps the most significant is this: it helps me embody and express the truth that joy and grief are twins. When I feel joy about something, grief for its potential loss is always right there. And when I am grieving, my heart is full of joy for having had whatever has passed. Laughing. Crying. “Craughing.” You know, it’s the same release…..